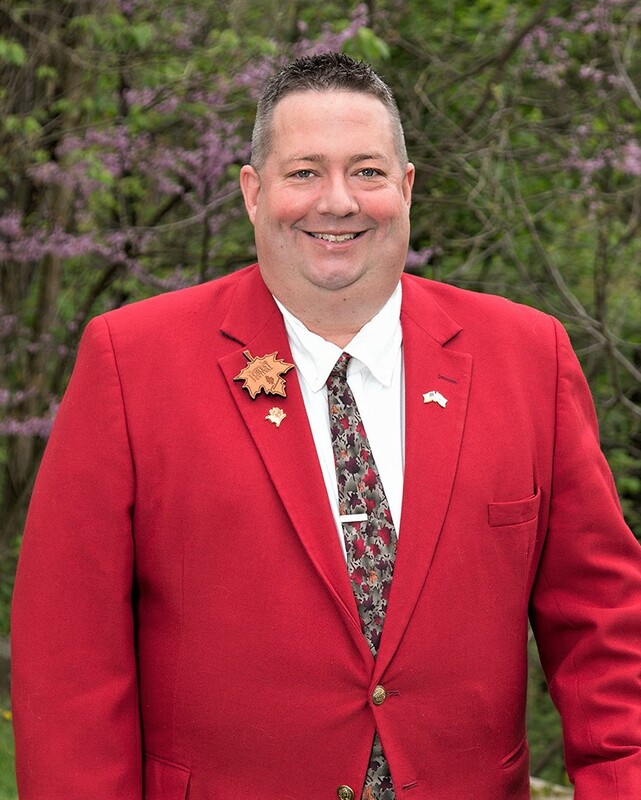 The Board of Directors of the Mountain State Forest Festival is pleased to announce their appointment of Rich Nida as Director General of the 82nd Mountain State Forest Festival scheduled September 29- October 7, 2018. The Forest Festival is West Virginia’s longest and oldest running festival and premier mountain event annually attracting tens of thousands of visitors every year. This year Director General Rich Nida has picked his theme, ”The Majestic Roads Lead to Royalty.” The idea for this theme came to Nida last fall while travelling home to Elkins. “As I drove home through the mountains looking at the beautiful fall foliage, I felt blessed to be a West Virginian, and to be a part of the Mountain State Forest Festival, which celebrates autumn in our beautiful state,” said Nida. Nida is a life-long Elkins resident, graduated from Elkins High School in 1985. After graduation, he followed in his grandfather’s and father’s footsteps by joining the family business, Mountaineer Motors. Since then, Rich has worked as the Parts and Service Director for Performance Chevrolet in Parsons and Elkins and now currently the Service Manager for Newlon’s International LLC in Elkins. While serving in these positions, he has always placed an emphasis on customer service and has truly enjoyed interacting with the residents of Randolph County, and surrounding counties. Nida is married to Marsha of Elkins and has two daughters, Ashley Nida and Megan Elbon, and son-in-law, Zach Elbon. The tradition of volunteering and participating in the Forest Festival runs throughout the Nida family. Marsha has served on many committees over the years and Ashley has served as a volunteer for several years as well. Megan had the honor of being a Flower Girl in 2001, a Maid of Honor in 2012, and volunteered as a princess ambassador in 2017. Zach has also served on various committees since 2013 including, parades and golf tournaments, in addition with various other duties. Rich began volunteering for the MSFF in 2000. While acting as an Assistant Director from 2011-2014. Rich coordinated the grand feature and fireman’s parades, bass tournament, golf tournament, procurement of official vehicles, tennis tournament, communications and security, and assisting with many other events and activities. While serving as Deputy Director in 2017, Rich oversaw the golf and bass tournaments, obtained plaques for all events, and oversaw all activities during festival week. Aside from volunteering with the Mountain State Forest Festival, Nida has volunteered his time toward several other community activities consisting of; coaching little league and Babe Ruth baseball from 1990-2002. Nida also helped with the design, raise funds for, and enlistment of the volunteer support in building the Betty Heckel Softball Field located behind Elkins Middle School. Since assuming the role of Director General on January 1st, 2018 Nida has been busy working with the Mountain State Forest Festival team, the Board of Directors, and volunteers planning the 2018 Forest Festival.